Nikola Tesla died January 7, 1943. In honor of the life of Nikola Tesla, this is Tesla week on GreenJoyment. All week, we’ll be talking about Tesla’s life and contributions to everything we use in our world today. If you don’t know who Nikola Tesla is, you should. While Tesla was probably not someone to assign titles, by most people’s understanding, Tesla would be called a mechanical engineer, an inventor, and an electrical engineer. He was someone who saw opportunities for science to advance the lives of humanity and worked took advantage of them. Through his work, Tesla was a major player in the birth of commercial electricity. Tesla is most famous for the revolutionary things he did in working with electromagnetism in the late 19th and early 20th centuries. If you’ve ever used a megaphone, or heard a voice amplified through speakers, you probably should say a thank-you to Nikola Tesla. The patents filed by Tesla, and the theories he put forth are the basis of modern alternating current (AC) electric power systems. He also brought to the world the AC motor. By and large, Tesla’s contributions to electricity helped to create the Second Industrial Revolution. Tesla first became truly known through a demonstration in 1984 of how wireless communication could work through radio. If you’ve ever listened to sound coming to you wirelessly through a radio, you probably should say a thank-you to Nikola Tesla. While Edison is generally regarded in high esteem (and probably rightfully so), Tesla is often sidelined. However, many of Tesla’s discoveries were of groundbreaking importance. Tesla demonstrated how energy could be transferred wirelessly to power electronic devices as early as 1893. Tesla wanted to create a system where intercontinental wireless transmission of industrial power would be possible. This is a fancy way of saying that Tesla was working to create wireless electricity for everyone in the world. However, this never came true as funding was revoked at some crucial points in the process. The tower was deconstructed to pay for Tesla’s debts, and the second tower built in New York was eventually torn down by the United States government in 1917. 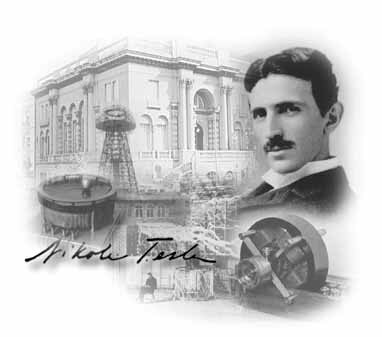 Tesla contributed in varying degrees to the establishment of robotics, remote control, radar, computer science, and to the expansion of ballistics, nuclear physics, and theoretical physics. Welcome to the week of Nikola Tesla, whose accomplishments and trials we will be highlighting all this week on GreenJoyment. Mr Tesla is a fascinating subject and individual. Wouldn’t it be great if we could understand just a little of such a brilliant mind. I wonder what magic he could perform with all the electronics available today? I had the exact same thought. And then I realized that it’s 100% circular logic because without Tesla, we wouldn’t have all the electronics available today. 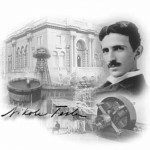 That being understood, if you had to venture a guess, what do you think Tesla would work on in 2011? I have no doubt he would be laughing because we would have wireless electricity. But then again the power company’s would have him killed because that would infringe on their monopoly. so the circle continues.